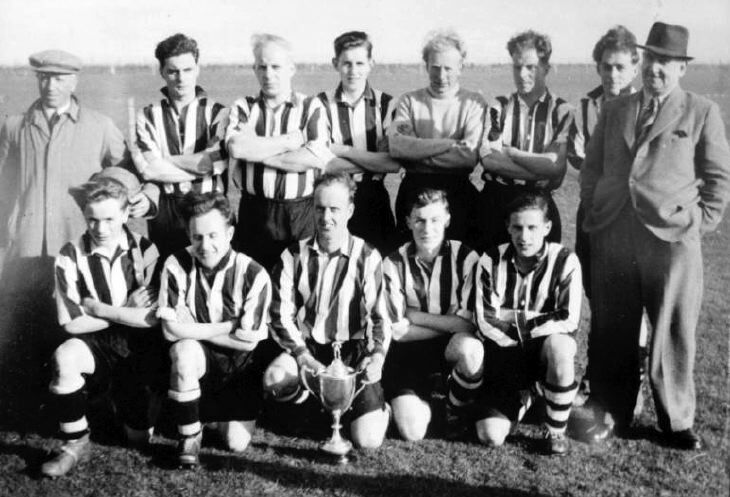 Black and white photograph of Dornoch football team (13 players and officials) holding 1 silver trophy. Jock Shearer, ? ,Duncan Bethune snr,Ian McLean, ? , ? ,Willie McCulloch , ? Ali Grant,Davy Shaw, Alistair Rosie, Dennis Bethune, ?